Six years ago, Alissa Anderson opened Foggy Notion (275 6th Ave.) as a sewing studio for her own work, but after building a reputation as a top Inner Richmond destinations for gifts and home goods, she's relocating to a larger location. 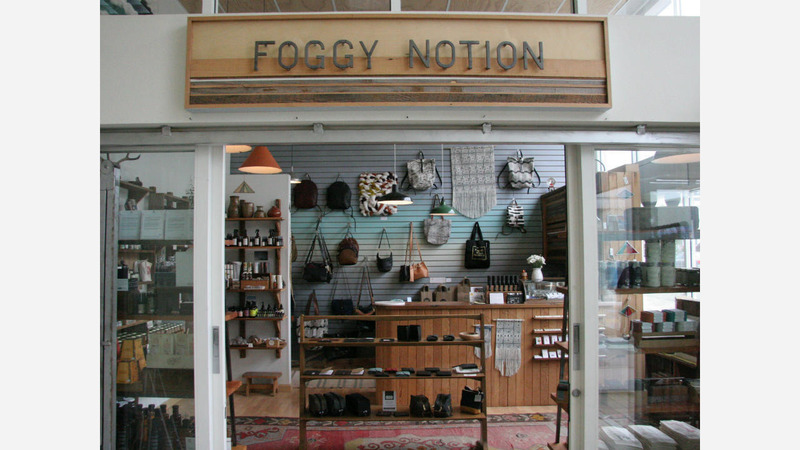 Next month, Foggy Notion moves to 124 Clement St. (between 2nd and 3rd avenues), a move that will triple the shop's square footage. The new space will allow her to stock a wider range of handmade products largely sourced from the West Coast and hold larger customer events. "I'll be expanding the lines of makers I already carry," said Anderson, "and bringing in more brands and types of products. And I'll have ample space to host the workshops, pop-ups, and events that I don't currently have room for." Anderson said she's looking forward to holding down Clement St. with her neighbor merchants, and to being closer to the Clement Street Farmers Market, which she helped bring to the neighborhood. "It's been fun having a shop off the beaten path, but the reality is we'd be discovered by far more people if we were right on Clement Street," she said. "I feel extremely grateful that I finally found this space to move into and that the owners loved the idea of an existing neighborhood small business moving in." Anderson said she's hosting a grand opening event on Saturday, April 21st, with festivities to be announced and a live DJ set by her partner, Andy Cabic, of Vetiver.